Happy November! It’s the national novel writing month and a great time to kick off a new writing project. Even if you aren’t trying to write a full novel this month, new writing projects always need inspiration to spark from somewhere. For me, travel is perhaps the biggest inspiration. 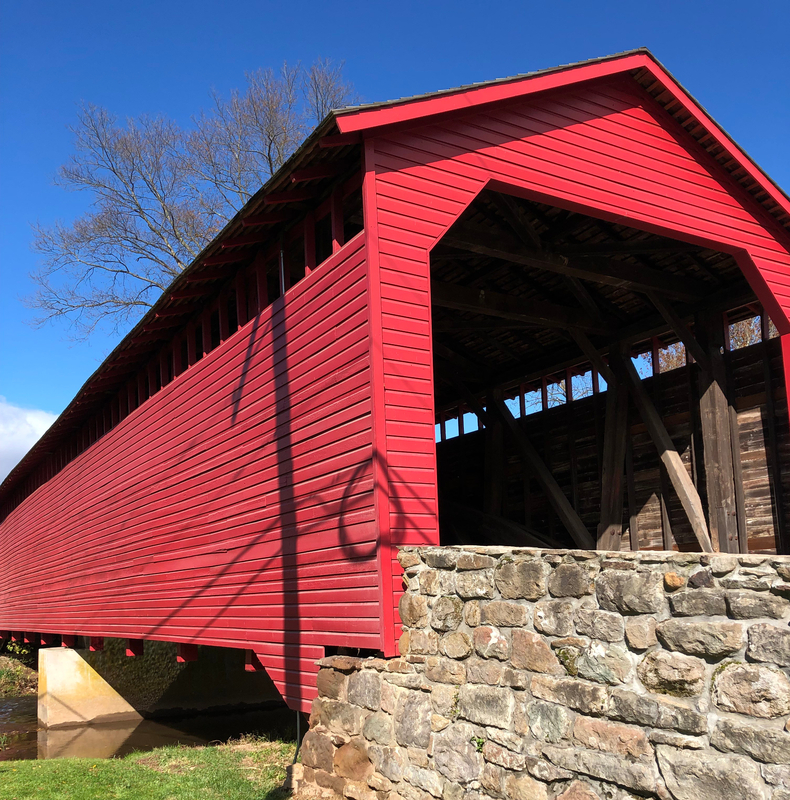 For example, this month I decided to check out some covered bridges really just on a lark. The photo above is one of those bridges and you can see the golden leaves of autumn appear in the background tree behind the bridge. Although the grass is still green and the sky a bright blue, it’s the tree leaves that speak to the season and time of year. Just standing there and looking at the bridge, while listening to the brook gurgle along made me wonder – what story would I write where this bridge was a centerpiece? What would the town look like in my fictional world surrounding this bridge and who would the protagonists be? What if this bridge was included in a museum on a space ship in the far flung future? So many fun writing prompts with just an image. That’s the fun of any sort of flash writing challenge or bigger challenge like writing a novel in a month: Taking inspiration from one or two things and building an entire world around it. Fiction is so much fun that way! Good luck to everyone involved with national novel writing month! You are almost halfway through, so keep going! Who knows, maybe you’ll even find a space for a scene involving a covered bridge. Inspiration is everywhere.